In Traditional Chinese Medicine, autumn correlates with the metal element, Lungs and Large Intestine. Weakness in this element shows up as: allergies, asthma, bronchitis and pneumonia. Because the lungs open to the skin, acne, eczema and psoriasis may be an issue. The colon is paired with the lungs so weakness here may show up as constipation, diarrhea, or IBS. This season's most iconic food, the pumpkin or squash, can be an effective remedy. The cheery pumpkin is round, orange and sweet high in beta carotene which is converted into vitamin A. Beta carotene also protects the mucous membranes, lungs and large intestine. It is clear why Chinese medicine turns to the pumpkin to relieve conditions such as dysentery, eczema, and discharging mucus from the lungs, bronchi and throat. The flesh of the pumpkin is beneficial and so are the seeds. Be sure to see our post in celebration of National Pumpkin Seed Day which includes several options for toasting this tasty treat. 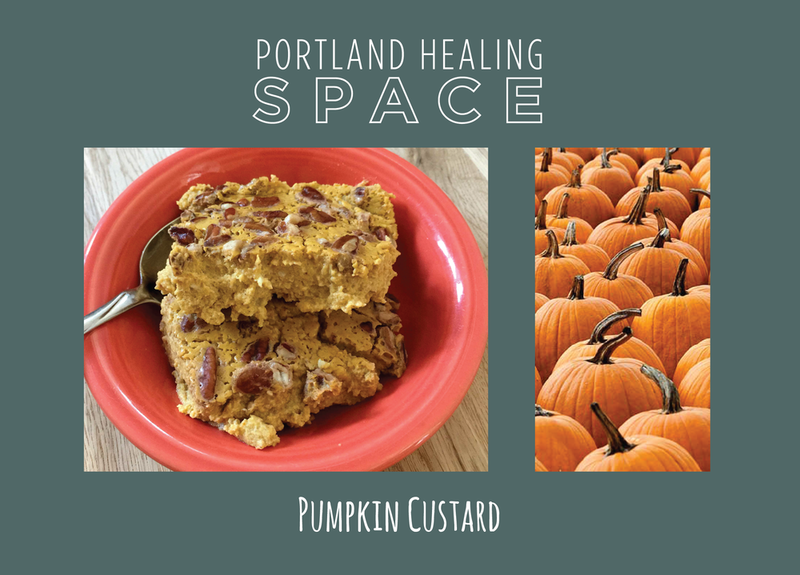 In addition, nourishing squash soups are helpful as well as other delights such as our Pumpkin Custard!